I've got 2 main projects I'm working on right now, and here are some pictures from both of them. 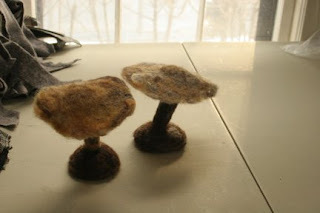 Here are felted mushrooms I'm working on for Laura. 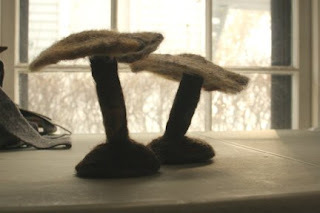 A third one (not pictured here) is almost done, too. 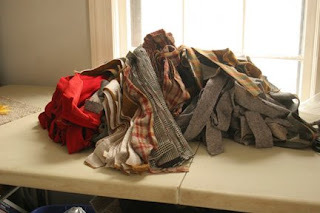 This is wool cut into strips for some braided chair pads I'm making. Doesn't look like much; it still needs to be sewn into long strips, folded and rolled and then it will be ready for braiding.